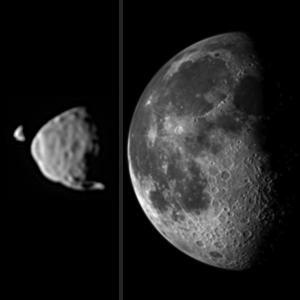 Ever heard of Mars’ innermost irregular and mysterious moon Phobos? If not, you can read all about it here! 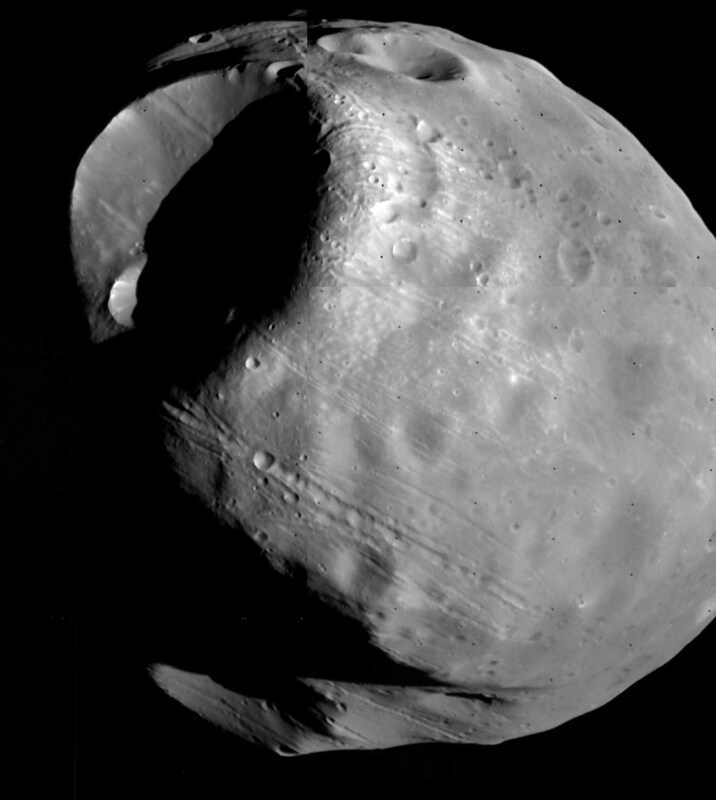 Phobos is one of the most fascinating moons in the Solar System and it was only discovered in 1877 and not a moment too soon, as Phobos is on a collision course with Mars! Fun And Interesting Facts About Mars' Big Moon! 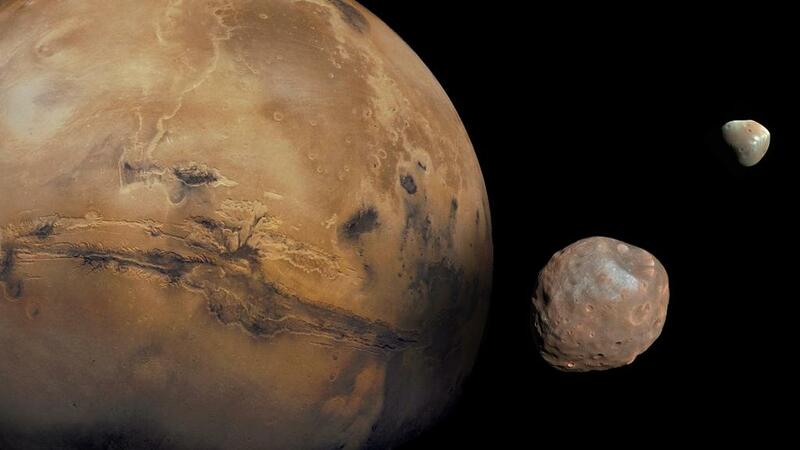 On a dark night on the 17th of August 1877, Phobos was discovered by Asaph Hall only 6 days after he’d discovered Deimos the smaller of the two Martian moons. Hall named the moons after the corresponding Greek mythological sons of the Roman God Mars, with Phobos meaning fear. 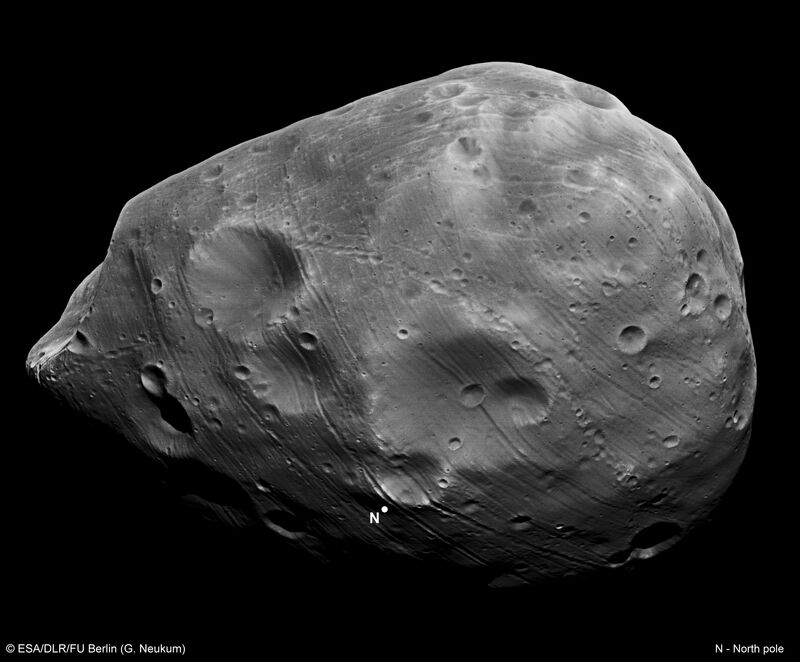 Phobos is about twice the size of its ‘brother’ Deimos, measuring 27 x 22 x 18km (and looks a little like a potato!) with its largest crater (named Stickney) measuring an impressive 9km across! 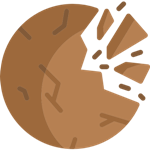 Scientists once believed this impact caused the moons distinctive streaks and gouges and may have almost shattered the poor little moon, but they are now thought to be the result of multiple ‘crater chain’ type impacts. 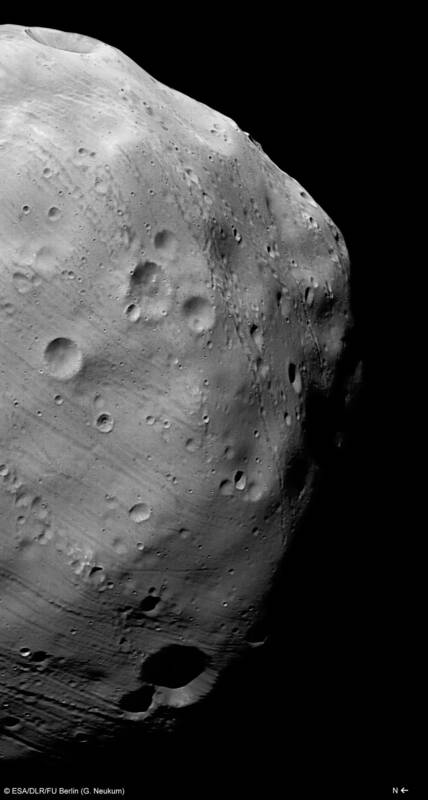 Phobos has also been battered and bombarded by thousands of smaller impacts resulting in a pounded dusty surface and many other craters bearing the names of characters from the novel Gulliver’s Travels. Scientists can’t agree how Phobos was formed, or where it came from. 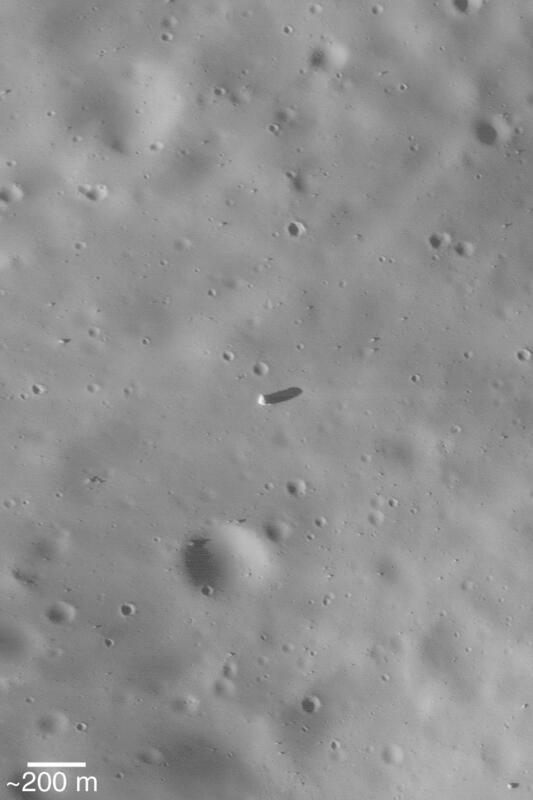 Some say it’s composed of C-type rock which is very similar to material found in the asteroid belt (so it could be a captured asteroid) or it could have been formed from debris thrown into space after a large impact on Mars. Phobos has a low density (so is thought to be a kind of pile of rocks rather than solid rock), really low gravity (a 70kg person would weigh only 60 grams!) and has a relatively low reflectivity (known as albedo) of only 0.071! One group of scientist say it’s unlikely to be a captured asteroid because of its circular orbit, an orbit that is only 5,989 km (3,721 mi) above the surface of Mars (the Earth’s Moon is over 384,000 km from the Earth’s surface!). This makes Phobos the closest moon to its primary body (Planet, Dwarf Planet etc) in the whole solar system! It orbits very close you can’t even see the moon in the Martian sky if you’re close to the polar regions. Crazy aye?! 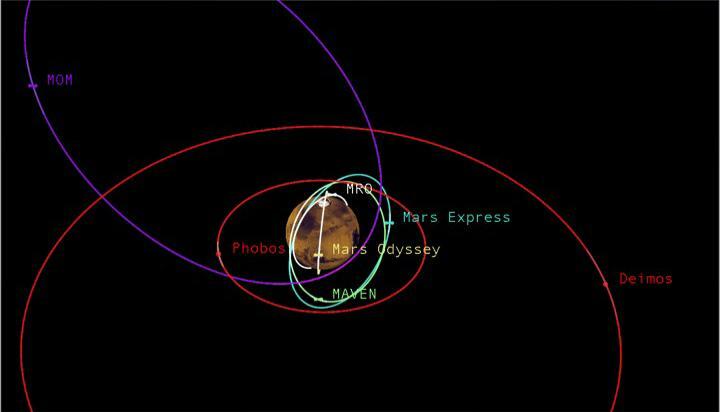 Being so close to Mars also means Phobos orbits really quickly, completing an orbit every 4hrs 15min, or 3 times a day. This results in the crazy sight of seeing the moon rising in the West which doesn’t happen anywhere else! I’d like to see that, would you?! 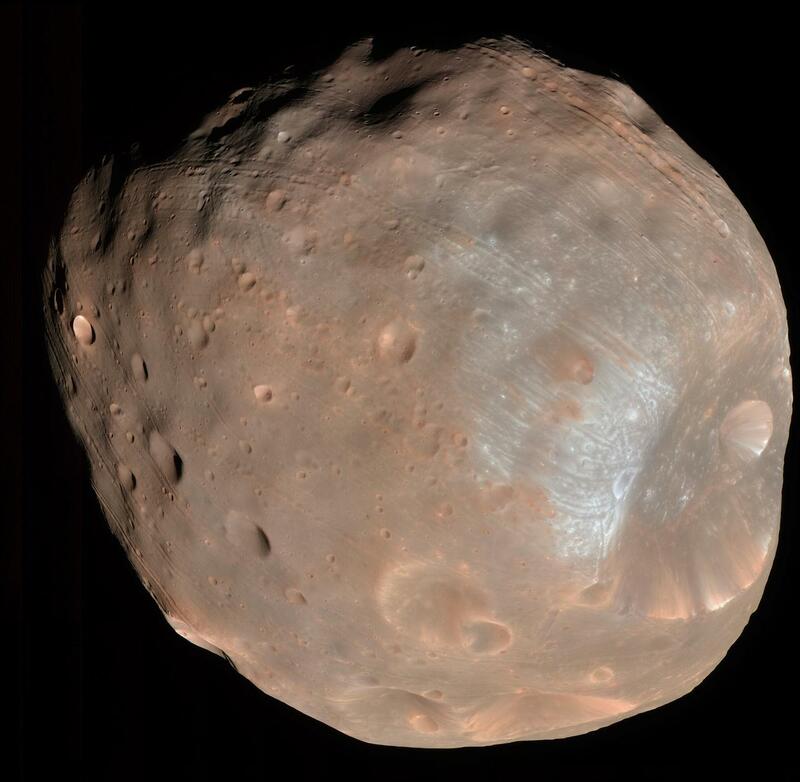 Orbiting so close though within a Planet’s synchronous orbit (orbiting faster than the Planet spins) is dangerous territory for Phobos though as Mars’ tidal forces are gradually pulling Phobos towards it at 1.8m every 100 years, stretching and distorting the Martian moon in the process. This means in about 30 – 50 million years the little moon will crash into Mars or be torn apart into a ring system that may last between 1 -100 million year. Wow, that’s fascinating! Is this how Saturn’s Rings were formed I wonder?! 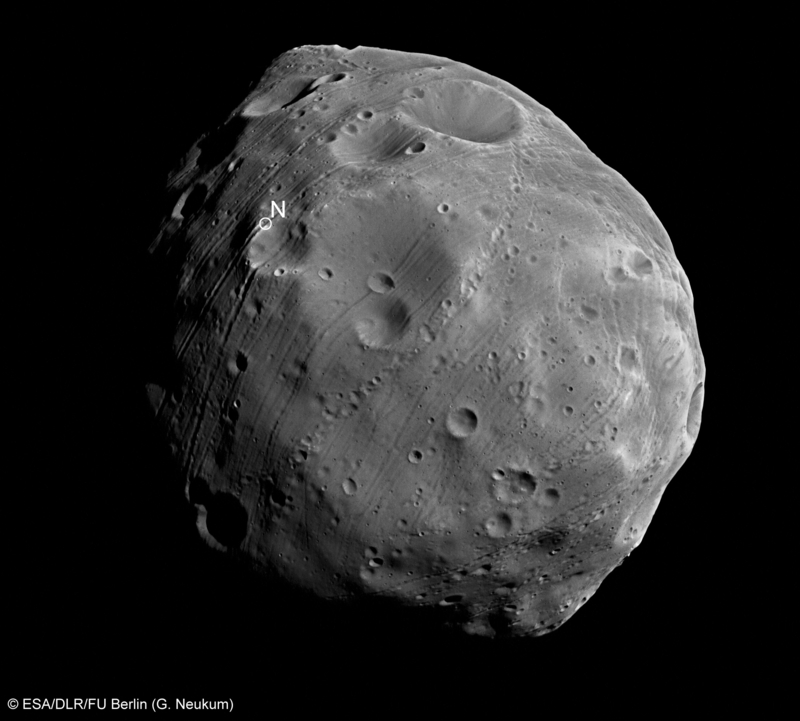 On account of its dusty light density surface and the fact that Phobos has no atmosphere, so the temperatures between the sunlit side (only gets to −4°C (25°F)) and the shaded side (−112°C (−170°F)) vary greatly! That’s like the difference between a cold winter’s day in New York and a crazy extreme cold day in the middle of Siberia! Pack your woollen clothes if you plan to visit! Before the Space Age really took hold it was speculated in the late 1950s and 1960s that Phobos might be hollow, in part because of its unusual orbit. Weird don’t you think? There have been no direct NASA missions to Phobos or Deimos, but the Soviet Union in 1988 did send two space probes (Phobos 1 & 2) which sent limited data back before falling silent. However, several probes have taken ever increasing images of the little-cratered moon since 1971 when Mariner 7 became the first space probe to orbit another planet besides Earth. The best current images are courtesy of the Mars Reconnaissance Orbiter. 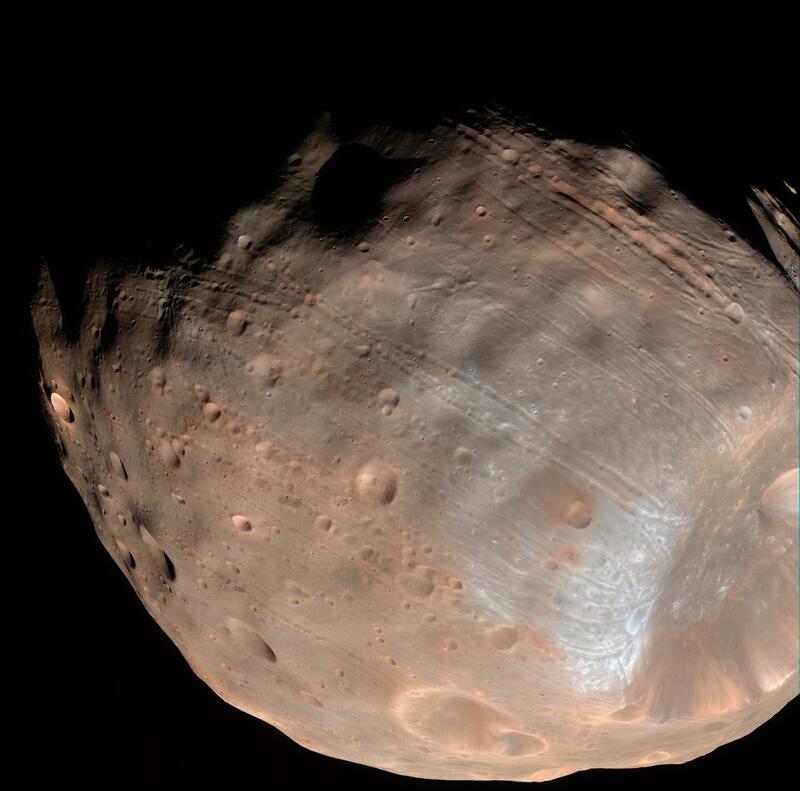 Phobos has even been photographed from the surface of Mars! Not by humans, yet, but by the Mars rovers Spirit, Opportunity and Curiosity which regularly records transits and partial eclipses as Phobos passes between Mars and the Sun. There have been special missions proposed in the past and future, however, none have yet launched. Phobos has even been proposed to play a part in human missions to Mars by acting as a staging post or type of Mars Space Station – how cool would that be?! SpaceX’s Dragon – The Private Space Cargo Truck!